Maintaining a presence in the world of digital media has become a must for virtually any organization. Many firms choose to outsource their interaction with media outlets in an effort to save time and money – and that’s where ISEBOX makes life easier for them. As a well-established virtual gathering place for the international medical industry, DocCheck needed a shareable online viewing platform to display hundreds of thousands of documents for students and physicians and other healthcare professionals. Document security was a key concern, given the often sensitive nature of medical data and the site’s mission of providing a resource intended strictly for the healthcare industry. Aareon AG is Europe’s leading consultancy and IT systems house for facility management in the property sector. More than 2,800 customers from six nations use Aareon systems to manage over 10 million rental units. Accusoft’s ImageGear is integrated with the archiving solution Archiv kompakt, which in turn is integrated in three of Aareon’s ERP solutions. Archive kompakt is designed as a client-server application and can be licensed as an in-house product or as a SaaS. The server component uses ImageGear’s OCR module. ImageGear supports the functions for scanning, viewing and archiving. Since the 90s, Aareon AG ImageGear has proven itself and has been used increasingly. In 2012, the licensing of the various projects was combined into a joint framework agreement. Along with ImageGear’s rich functionality, Accusoft’s exemplary support should be emphasized. Support requests are always handled quickly and competently, and deadlines are observed. Very few software firms can claim to affect every American. Yet touching “every hand in the land” accurately describes TMSSequoia (now Accusoft), thanks to its participation in the 2000 decennial census. TMSSequoia (now Accusoft) has been a leading software developer since 1981, providing products and toolkits to some of the world’s largest corporations and governmental agencies. Recipient of several notable awards, it has installed over a million copies of its software for more than 2,200 customers. Based in Newmarket, NH, Profit Tools, Inc., develops leading-edge business, operations and e-commerce software for commercial trucking and freight transportation. They offer configurable, off-the-shelf solutions to TL, LTL, Air-Freight, and Intermodal carriers, as well as freight brokers and agents, enabling them to be flexible and efficient without extensive training or in-house IT staff. Profit Tools chose Accusoft technology because of its excellent quality, range of functionality and the relative ease with which it could be integrated with our existing applications. The Profit Tools Integrated Document Imaging solution, of which Accusoft is the core application, delivers a rapid return on our customers’ investment and has become one of our most popular add-on modules. Maricopa County is the 4th largest county in the United States. We are proud to call the county a partner, as well as a long-time, valuable customer of Accusoft. ImagXpress, Barcode Xpress, PDF Xpress and ISIS Xpress power its award-winning recorder and election office document imaging systems. Chief Deputy Recorder Barbara Frerichs says they have scanned and redacted millions of documents using Accusoft software development kits (SDKs). 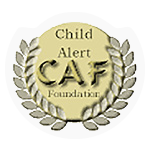 The Child Alert Foundation (CAF) is a 501(c) 3 non profit tax exempt charity that is utilizing new technology to assist law enforcement in the case of missing or abducted children. The Child Alert Foundation uses ImagN’, CapturePRO and the ImagXpress toolkit for all of the imaging needs of both the Abduction Central Alert (ACA) and ACA CHIPS products. CapturePRO allows pictures to be immediately scanned into the ACA system and the ImagXpress tools provides us with all the image enhancement tools we need to provide accurate digital fingerprints. Accusoft is the number one vendor for our imaging needs. eBridge Solutions is a leading web-based document management company headquartered in Tampa, Florida. By combining powerful technology with experience and expertise, the company provides service for a variety of industries across the United States – all at an affordable price. MEDIS medical imaging systems (based in Leiden, The Netherlands) is specialized in the development, distribution and ongoing support of solutions for the quantification of medical images. PhotoLynx has devolved an integrated line of software products to aid volume School and Sport Photographers and labs throughout the production process. PhotoLynx products assist the photographer, the studio, the Professional Color Lab and the School. Outback Imaging is a leading Australian developer and supplier of document scanning solutions. Our products enable our clients to substantially slash the cost of deploying document-scanning solutions for unstructured documents. We specialize in building scanning and conversion applications that capture and convert unstructured documents into a variety of output file formats.